It's May. Maybe the thermometer in in your classroom reads 90 degrees (unless you're more fortunate than I and have AC in your school). The end-of-year chaos is simmering just below the surface and the excitement is palpable. It probably a feeling you know well- when everything is threatening to come apart up the seams and you're trying desperately to keep everyone calm and engaged. Be strong! We can do this, everyone! ¡Sí, se puede! I don't know about you, but I'm about lose it at this point in the school year. After the students leave, I sit in the blissful silence of my 90 degree classroom and dream of getting home to air-conditioning, wine, and chocolate. Who is with me in the trenches? Hopefully, you've only got a week or two week left, right? Here in Michigan, I'll be rocking out until June 16. Yikes. However, I've devised a survival strategy that I'm excited to share with you. How will any of us make it until the last day? With carefully planned, fun, yet not-too-crazy activities, of course! Check out this tried and tested list of activities that are low-prep and engaging enough to keep everyone-- students and teachers alike-- from losing it. Ok, I know some of you are thinking, "Jen's already blogged about Quizlet Live; enough already!" It's just one of those things my students never tire of and it never seems to get old for me either. Also, did you know that you can combine your Quizlet study sets to form a mega-set? Here are instructions how to combine sets. I have one combined set for my 7th graders that has over 200 terms. Talk about end-of-year review! This goes without saying, right? Who doesn't love a good, quality movie the last week of school? 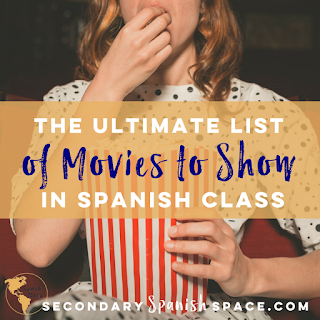 To keep the students focused, which means sanity for you, I always use some sort of movie sheet that requires kids to actually pay attention so they don't get that glazed-over expression when it's all in Spanish. Sometimes it is specific to the movie, but other times, I use this FREE handy sheet that has my kids recognize words they know, cognates, and, if you so choose, words specific to a specific theme you've been working on. For example, I show my 6th graders ¡Atlético San Pancho! and I have them look for hobby vocabulary because we always finish the pastime unit before watching. Yearbook Post-It Note Messages ¡En Español! During the last couple of days of school, I always give my kiddos some time to sign one another's yearbooks. Last year, however, I had post-its available and assigned each student 3 other students to write kind messages about using all of the Spanish they'd acquired throughout the year. I might even have threatened to give them a presentational grade to encourage more quality messages. Just so you know, I don't usually collect things and not grade them, but these post-it messages are just for fun and I really just want them to do it and try their best. Plus, it's a nice memory for a student whose yearbook they might not have otherwise signed. It's a win-win! Last week, I tried Elisabeth's Categorías game from her blog post about "10 Interactive End-Of-The-Year Games" (see #8) with my 7th graders and we loved it! Print off these free sheets with different categories of vocabulary, give your students a few letters to use, and ask them to come up with vocabulary words that fit that category that start with the letters your provided. It's so simple, it's genius. For warm-ups the last two days, I handed my 7th graders sheets with the categories la comida, la ropa, el cuerpo, la ciudad, y adjetivos and let them think of vocabulary words that started with C, P, and M. I chose to make it a competition and that really motivated them. It's a great way to kill 5-10 minutes (ahem, I mean activate prior knowledge) at the beginning or end of class and it's super low-prep. Honestly, you could have students do it on a scrap sheet of paper if you needed to. Plus, this makes a great end-of-year review! Below is a sample of the categorías sheet my 7th graders did yesterday. I don't know why it took me so long to try dancing with my students! Maybe I was self-conscious of my embarrassing utter lack of rhythm or maybe it just seemed too out there, but my students love when I let them get up, move around, and dance. Our very own Allison (Mis Clases Locas) is well known for her successful ideas of Música Miércoles and Baila Viernes. Like Allison, I love using Zumba and Just Dance videos as those seem to be the most motivating. I was planning to put together a YouTube playlist of videos for you to use, but it seems Allison already beat me to it with this amazing 96-song playlist. You might want to check out the bottom of the list first for the most recent hits like "Soy yo" and "Despacito" Go for it! Bust a move! My latest obsession is LyricsTraining.com and my students are really into too. Essentially, you watch a music video, listen to the lyrics of the song carefully, and then type or select words you hear like a cloze activity. It's really effective at improving interpretive listening skills, increasing vocabulary knowledge, and raising cultural awareness. I love LyricsTraining so much that I may or may not have recently spent at least five hours of my life making custom activities for my students and I'm excited to share all of them with you here. The beauty of it though is that you don't even need to spend time making custom activities as there are plenty of them already on the site, but it's just so darn fun! Your kids will thank you for letting them chill and listen to music at the end of the school year and you'll be thrilled as they'll be learning a ton while they do it. 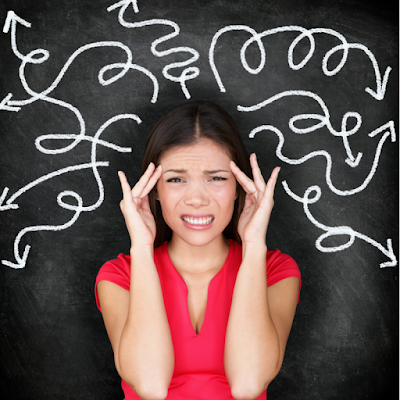 So, which of these lessons do you plan to use or seems the most engaging? I really hope these activity suggestions help you and your students to make it through and stay sane at this crazy time of year. Remember, ¡Sí, se puede! Great post! You had me LOL with the "have the kids turn them in but don't grade them...they don't seem to notice that they don't go into the gradebook." I'm guilty of that as well. I just hope none of my students ever find this website! We don't finish until June 14. Have a great Summer!